CBS has released a promotional picture of Annie Wersching as Gail Walsh in NCIS “False Witness” which airs later this month on December 14th. Her character definitely seems to be giving off some Renee Walker vibes. 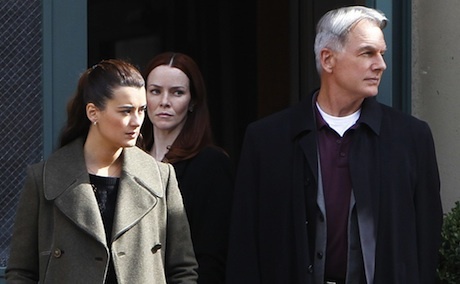 “False Witness” — Probationary Agent Ziva David (Cote de Pablo, left) and Special Agent Leroy Jethro Gibbs (Mark Harmon, right) investigate the disappearance of a Navy petty officer who is the sole witness in an upcoming murder trial on “NCIS,” Tuesday, December 14 (8:00-9:00 PM, ET/PT) on the CBS Television Network. Annie Wersching guest stars as Deputy District Attorney Gail Walsh.